A cruel couple who forced a five-year-old girl to drink so much soda and water after they found her drinking a soda they said was reserved for adults, have been jailed. They were charged for murder when the girl’s brain swelled from excess soda and died. 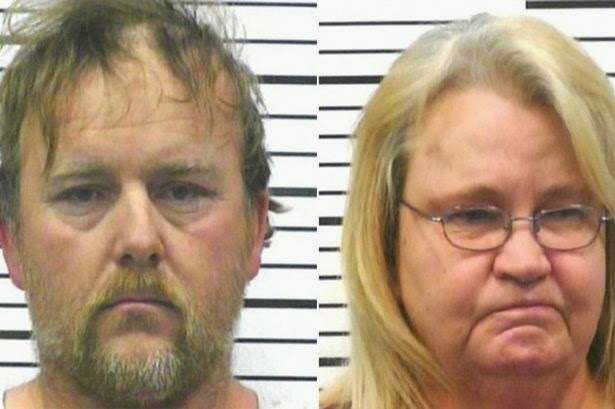 Randall Vaughn, 42, and Mary Vaughn, 59 (pictured above) pleaded guilty to second-degree murder and aggravated child neglect and were sentenced to 35 years in prison on Monday in Rogersville, Tennessee. The court heard they made the girl drink more than half a gallon of grape soda and water in just two hours.